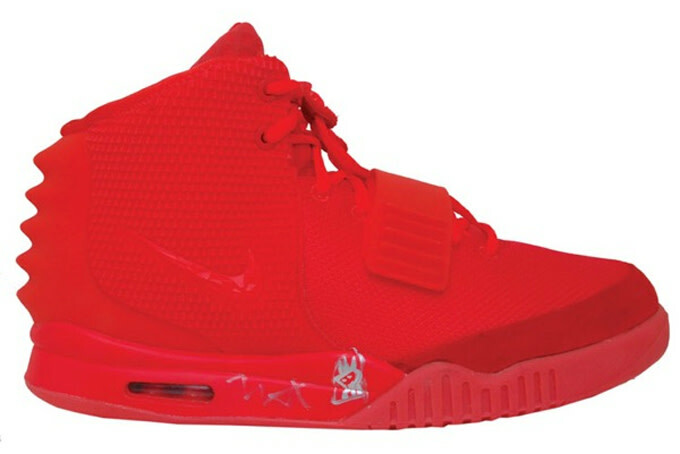 While most sneakerheads struggled to get their hands on a pair of "Red October Air Yeezy IIs, a select few were actually lucky enough to not only land a pair, but get their sneakers signed by Yeezus himself. 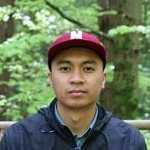 There was the fan at a concert who got his pair signed and later turned down a $98K offer. Well-connected sneakerhead Sami Samuels, who seems to know every big-time celeb, met with Kanye to get his pair autographed. 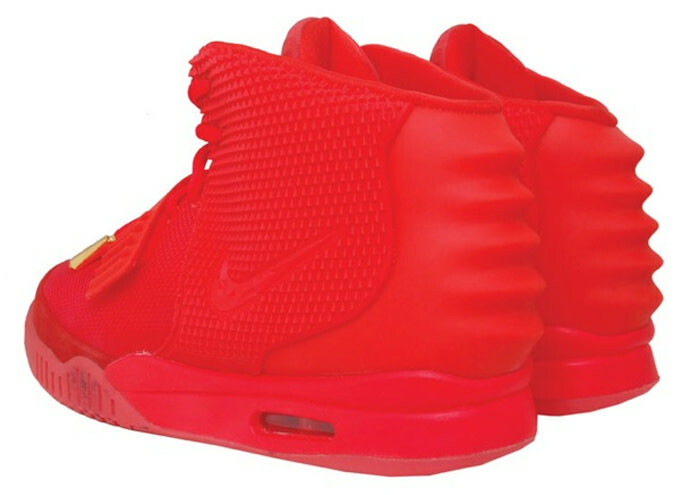 Even dude who had fake "Red Octobers," which Kanye gladly pointed out, was even lucky. If you&apos;re trying to join this select group, you&apos;ll have a chance very soon and can even determine how much you pay (sort of). 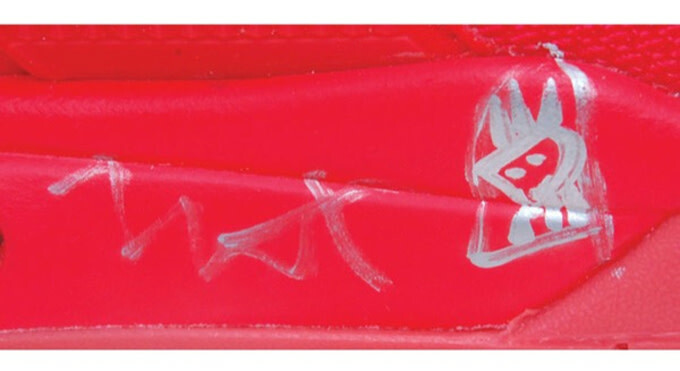 A pair of autographed size 12 "Red October" Yeezy IIs will be on the auction block from Grey Flannel Auctions, which is the same company that auctioned off these MJ-autographed "Playoff" XIs. 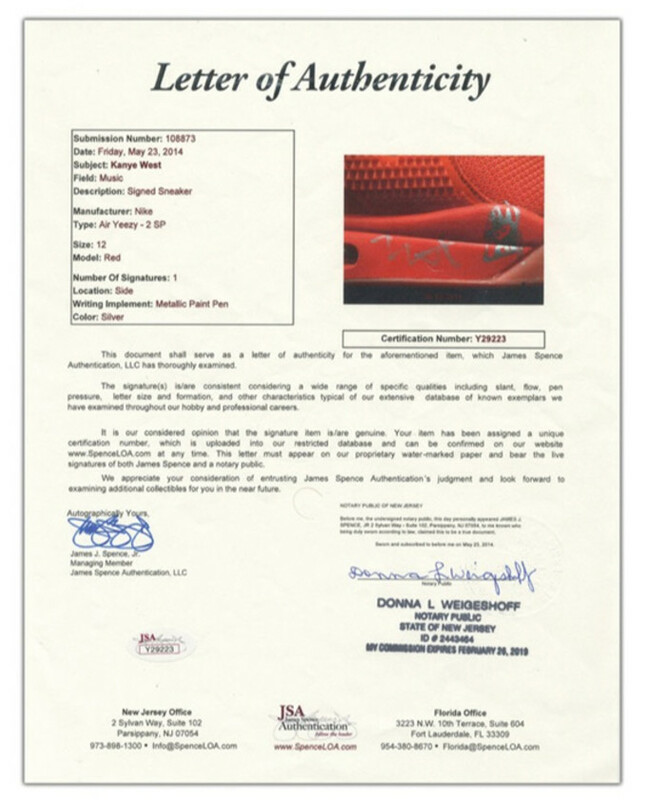 The Kanye autograph is on the lateral side of the right shoe and has even been verified for authenticity. The starting bid is $2,500 and the auction begins this Friday. If you&apos;ve got the funds, keep an eye on the auction here.